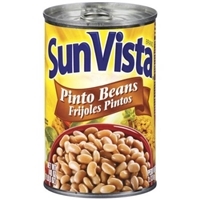 Ingredients: Cooked Pinto Beans, Water. 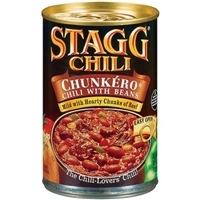 Contains 2% or less of: Lard, Salt, Vinegar, Onion Powder, Hydrogenated Lard, Garlic Powder, Spice, Chili Pepper. 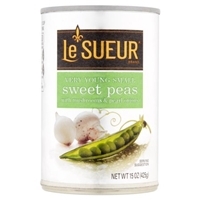 Brand/Manufacturer: Le Sueur General Mills, Inc.
Sweet peas, water, mushrooms, pearl onions with sodium metabisulfite and potassium sorbate added to protect color, sugar, salt, citric acid, calcium chloride, ascorbic acid, natural flavor. 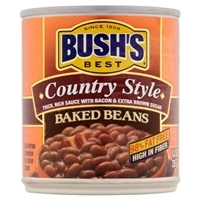 Prepared white beans, water, brown sugar, sugar, modified corn starch, salt, bacon mustard (water, vinegar, mustard seed, salt, turmeric, spices), natural pork flavor (pork stock, maltodextrin, pork flavor, dextrose), onion powder, caramel color, spices, garlic powder, and natural flavor. Gluten free. 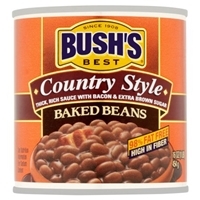 Prepared white beans, water, brown sugar, sugar, bacon, modified corn starch, salt, natural pork flavor (pork stock, maltodextrin, pork flavor, dextrose), mustard (water, vinegar, mustard seed, salt, turmeric, spices), onion powder, caramel color, spices, garlic powder, and natural flavor. Gluten free. 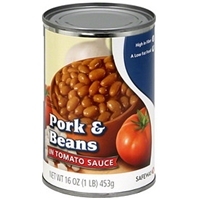 Water, beef, oatmeal, corn flour, chili powder (chili peppers, flavoring), textured vegetable protein (soy flour, caramel color), tomatoes (water, tomato paste), sugar, modified cornstarch, salt, hydrolyzed corn, soy, and wheat protein, flavoring, autolyzed yeast, monosodium glutamate, spice. 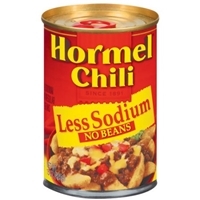 Water, beef, beans, concentrated crushed tomatoes, contains 2% or less of corn flour, salt, textured vegetable protein (soy flour, caramel color), chili powder (chili pepper, flavoring), starch (modified cornstarch, cornstarch), flavoring, sugar, green chiles (contains citric acid), onions, spices, jalapeno peppers (contains vinegar). Gluten free. 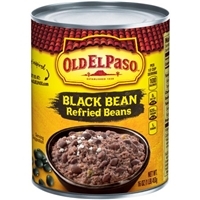 Cooked black beans, water. 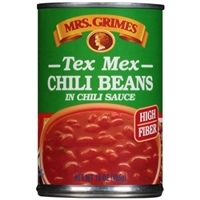 Contains less than 2% of: salt, soybean oil, jalapeno pepper, sugar, lime juice concentrate, acetic acid (preservative), natural flavor. 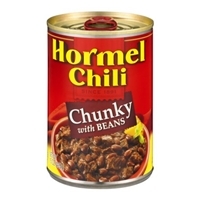 Water, beef, oatmeal, corn flour, chili powder (chili peppers, flavoring), textured vegetable protein (soy flour, caramel color), tomatoes (water, tomato paste), sugar, salt, hydrolyzed corn, soy and wheat protein, modified cornstarch, flavoring, autolyzed yeast, monosodium glutamate, spice. 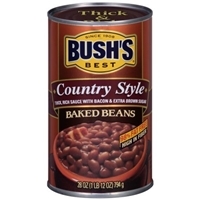 Prepared white beans, water, brown sugar, sugar, bacon, modified corn starch, salt, natural flavor (pork stock, maltodextrin, pork flavor, dextrose), mustard (water, vinegar, mustard seed, salt, turmeric, spices), onion powder, caramel color, spices, garlic powder, and natural flavor. Gluten free. 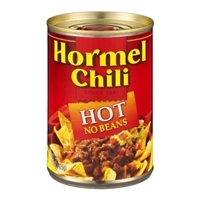 Prepared beans, water, sugar, tomato paste, corn syrup, pork, salt, paprika, spice, caramel coloring, natural flavorings and garlic powder. 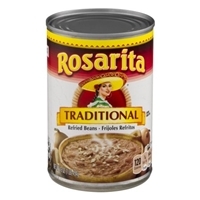 ROSARITA TRADITIONAL REFRIED BEANS 16 OZ. Brand/Manufacturer: Rosarita ConAgra Foods Inc.
Cooked beans, water, less than 2% of: lard, salt, distilled vinegar, chile pepper, onion powder, spices, garlic powder, natural flavor.may contain: soy. Water, beef, beans, tomatoes (water, tomato paste), green chilies, modified food starch, dehydrated onions, natural flavorings, salt, dehydrated tomatoes, sugar, paprika, dehydrated bell peppers, hydrolyzed soy protein, jalapeno peppers, oleoresin of paprika, annatto color, vinegar.